On June 23rd, 2016, the United Kingdom reserved its place in history as it decided to break from the European Union with nearly 17.5 million votes (52%). 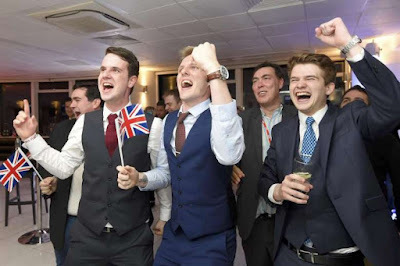 With pre-count polls declaring a victory for the “Remain” side, many UK citizens resigned to an early night thinking the referendum was already won. However, as the early morning progressed, it became apparent that “Remain” voters had not turned out in their expected numbers, and the more passionate “Leave” voters had exceeded all expectations, braving the torrential weather and flooding, and casting their final vote before the decision was announced at 7am British Standard Time. The vote was final; the United Kingdom would say goodbye to 41 years of EU membership and embrace independence. This was not an easily fought battle. 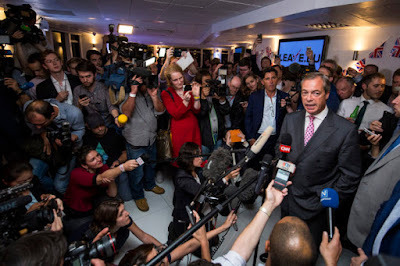 Both sides of the debate endured grueling campaigns to persuade voters why the UK should stay or leave, dividing public opinion so much that the country was (quite literally) split on what would be best for Britain’s future. Should they stay (and attempt to reform the EU from the inside), or declare the 41 year project a failure and move on? In the end, the Eurosceptics won, and the long road to negotiating withdrawal from the 28 member block began on June 24th. But however you may have voted in this referendum, and however you may feel about the outcome, rest assured that the Commonwealth freedom of movement campaign has benefited greatly from the result. Since the UK’s membership in the European Union began in 1973, the ideology of free movement that existed within the Commonwealth slowly eroded away. As the British government turned their backs on Commonwealth immigration, so too did the Commonwealth in return. Australia, New Zealand and Canada each passed their own Nationality Acts throughout the 1970’s and 1980’s, severing most/all ties to Commonwealth immigration and citizenship. The UK officially became the isolated leader of the Commonwealth at the expense of appeasing the then Prime-Minister, Edward Heath’s, European agenda, and consequentially, countries with so much in common (and shared decades of history) were divided. However, even though it took 41 years for the British to realise their error, they began the long journey to reconciliation last night. With a mandate of 52% from the British public, there is now the opportunity of a lifetime to consign the last 4 decades of European preference to the history books, and re-establish the unity that once made the Commonwealth so great. We have the opportunity to advance our immigration policies, as four independent nations, and re-establish the free movement protocols that have lay dormant in our parliaments for so long – the opportunity to establish free movement between the newly independent United Kingdom, Australia, New Zealand and Canada. Numerous politicians from all four countries have declared support for our movement. Daniel Hannan (Conservative Member of the European Parliament) has stated that following a Brexit, he would like to see free movement exist between the UK, Australia and New Zealand. Alexander Downer (Australian High Commissioner to the United Kingdom) has also expressed his support for visa liberalization and free movement for Australians in the United Kingdom, and a recent poll conducted across all four countries revealed that most citizens back the idea of free movement between the UK, Australia, New Zealand and Canada. The support for our campaign is rapidly growing every day. Since the CFMO’s foundation in 2014, our campaign has been restricted due to the UK’s membership of the EU, as allowing free movement from Europe meant compensatory limitations on immigration from the Commonwealth. However, now the UK is free to establish its own migration policy, it can apply immigration protocols as it sees fit, and if respective of the 2016 national poll declaring overall support for free movement with Australia, New Zealand and Canada, we can all work together to establish freedom of movement between our four nations. It will take some time, and the road ahead will have many trials and tribulations, but the United Kingdom has taken a massive step to re-establishing free movement within the Commonwealth, which we (and many members of the general public) have campaigned so hard for over the years. We have made huge strides since our foundation, receiving support from numerous politicians, diplomats and non-governmental organisations, and I am certain that continuing on this path, we will embrace free movement between the UK, Australia, New Zealand and Canada by the end of the decade.